Our classes are 40 minutes long ( little tigers are 30 minutes ) each weeknight and saturday morning. Each class consists of a systemized stretching routine, conditioning exercises and balanced training methods. Our school maintains strict observance of traditional training room behavior. Instructor-to-student relationships are kept formal, with students always demonstrating proper respect to instructors, including the traditional manner of bowing. Our students always train with a serious, nor playground attitude. 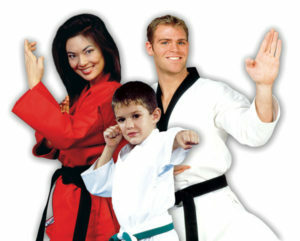 Family Taekwondo is a GREAT FAMILY ACTIVITY where parents and children can sweat, learn, and bond together! 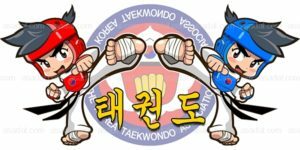 Learn and experience the benefits of Taekwondo TOGETHER! Family class is also very convenient for the parents! You don't have to worry about mixing/matching schedules, just come and spend quality time together and we will take care of the rest! Setting the same goal, parents and children can help each others achieve it! come together and enjoy the benefits of Taekwondo training with GREAT Family Discount Rate! * We have separate classes for beginner, advanced and black belts. Simply drop by our school or call for an appointment. We have an open enrollment policy, so you can join and start the next day. All students begin with one-to-one instruction, which teaches them basic techniques, manner and terminology. We have a family classes with a great discount rate, call us find out more. We Keep uniforms in stock for immediate use by students. 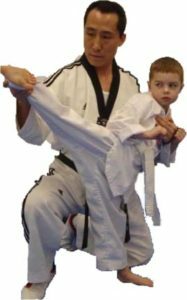 If you or your youngster are unclear or uncertain about Taekwondo, ask for an introductory lesson or feel free to observe a class.